TaxAssist Accountants Melton Mowbray provides a wide range of accountancy services including tax returns, annual accounts, payroll and bookkeeping. 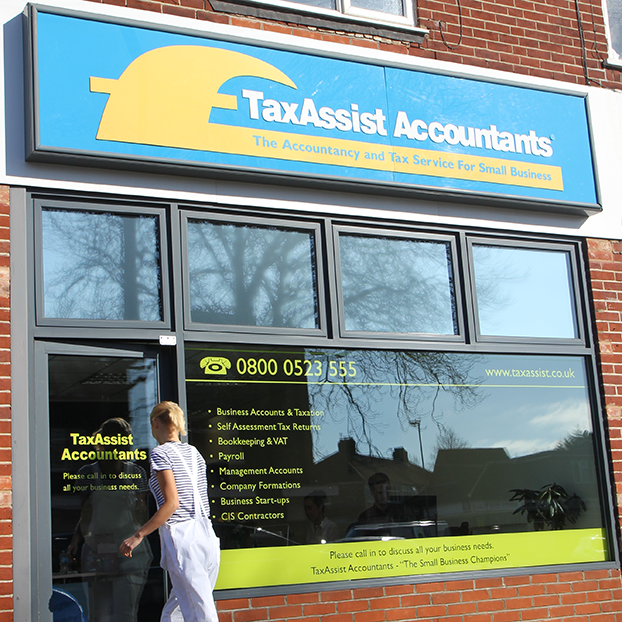 TaxAssist Accountants in Melton Mowbray are a part of the largest network of accountants who offer a wealth of experience and expertise to over 70,000 small businesses right across the UK. We help a diverse range of small businesses including start-ups, sole traders, limited companies and landlords who operate in many industries. We are local experts in helping small business owners and self-employed individuals with all of their tax and accountancy needs in Melton Mowbray, Oakham and the surrounding areas. The practice is led by Lloyd Stubbs an ACCA qualified accountant with over 20 years of experience. Our friendly office is located in the Pera Business Park in Melton, on Nottingham Road opposite Sainsbury's. Opening hours are between 9.00am to 5.00pm Monday to Friday, with further appointment times available upon request. We also have a shop in Grantham that has been open for 10 years if this is more convenient. We provide unrivalled service to make your life easier. As clients, you will have direct access to Lloyd and benefit from the core accountancy and tax services, plus a range of additional services to support your business growth. Let us look after your financial compliance, allowing you to concentrate on your business. • An open and friendly approach - We can set up a FREE no obligation meeting with you and are well placed to advise you of the best tax position you could be in. We will clearly explain your tax return and accounts filing requirements and why understanding the figures behind your business are so important. • Upfront pricing - We offer fixed fee pricing which enables you to know exactly how much you are paying for your accountancy fees. We offer flexible payments with our monthly Direct Debit facility helping ease your cash flow. • We can save you money - If you are not using all of the tax savings available to you then we will review this and ensure you only pay as much tax as you have to. We specialise in small businesses and can review your accountancy fees to find out if you are truly receiving value for money. In summary we provide a high quality, friendly and reliable accountancy services at a competitive price.